Our website (trackingshipment.net) is not affiliated with Finland post. Please be advised that Finland post - tracking service has just been added to our service, and we haven't enough time to collect a lot of information about popular questions. At the moment all results are being represented without our correction. You can ask any question about it; we will find an answer to it. We will make a FAQ in the short time. Tired of this courier? FedEx track is also can be used in this country! The Finland Post track system is your opportunity to control the shipping handling personally without the necessity to attend the post office. A mobile device, Internet connection are the only things you need to find out the fine location of your cargo, parcel or mail. Before, sending a parcel or mail via the services of this company, ask the staff to give you the Finland Post tracking number or tracking code. Then enter the code in the field at the top of the web page and get ready to view the result. Besides, you also may defer to the services of a well-known tracking system k2track. This is a global and omni-purpose tracking service, allowing you to check packages or mails sent via different companies. K2track also offers you to use the Finland Postal service because the information about delivery items sent by this company is also included into its database. The system is fast, you can check your parcels online in a slip second. This is the leading postal service in the country, which specializes in mail and parcel delivery. Except for this characteristic feature, the company is one of the biggest employers in the country. Its staff comprises more than 22,000 employees. Services, commerce and media are the key customer sectors. This is not just an ordinary, local postal service provider. Its range of services goes farther than the state boundaries. 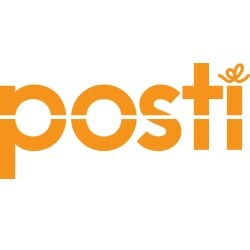 Finland Post offers international delivery services as well. Its history dates back to the 19th century. The company was founded in 1811. Year by year, the range of services was growing. Their quality was also improved. Nowadays, every customer is offered a capability to trace parcels or mails with the Finland Post track system. What Services Does the Finland Post Offer? · Private. Customers may send parcels or mails within the country or abroad. The Finland package tracking service allows everyone interested to monitor the delivery items. One may also send postcards online, see delivery time or delivery interruptions, etc. · Business. The services of warehousing, eCommerce, delivery of publications and so on. All customers are free to use the Finland package tracking service to check the order status online. Warehousing for various online stores comprises handling of returns, reception and work with the orders of customers. The company uses the latest technology to provide the best services like PDA terminals and voice-controlled picking. More information you will find on the official website. The main goal of Finland Post is to be and to stay the number one postal service provider for its core audience. So, everyday they work hard to maintain good profitability and stay the leader on the logistics market and in the area of eCommerce.